A career criminal who has repeatedly committed felonies while on parole for previous crimes is charged with robbing one River North bank this week and is suspected of holding up two others, according to the FBI, state records, and a federal criminal complaint. 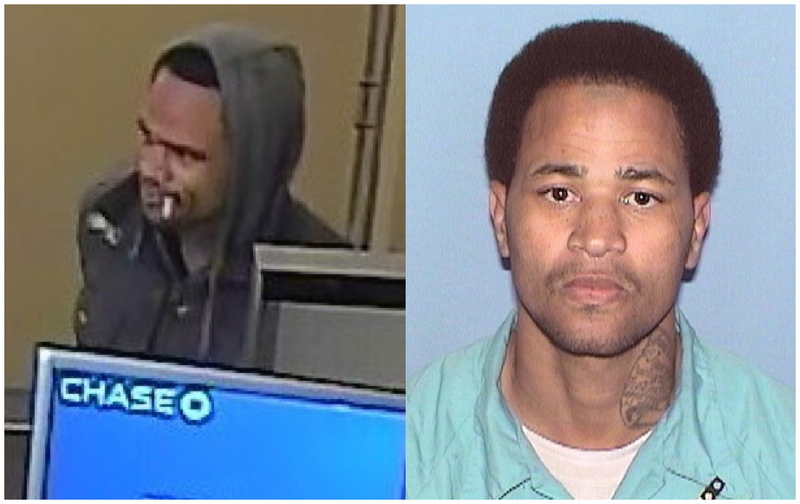 Major Neal McCoy, 35, was arrested Wednesday afternoon near Des Plaines and Grand after Chicago police saw him entering a taxi cab following the hold-up of Chase Bank, 230 West Grand, minutes earlier. An FBI agent stated in a criminal complaint that arresting officers found large bundles of cash totaling about $9,300 in the leg of McCoy’s sweatpants. McCoy waived his Miranda rights in an interview with FBI agents and admitted to Wednesday’s bank robbery, according to the federal agent. In addition to Wednesday’s robbery, McCoy is suspected of robbing the Chase Bank at 755 North Larrabee on Monday afternoon and the Chase Bank at 1122 North Clark on Tuesday morning. State records show that Mccoy was released from prison on parole in March 2017 after serving half of a six-year sentence for burglary. Before that he received an 18-month sentence for shoplifting in 2013; six years for armed robbery in 2008; four years for robbery in 2006; and one year for theft in 2006. McCoy has violated the terms of his parole by committing new felonies every time he has been released early, the records show.